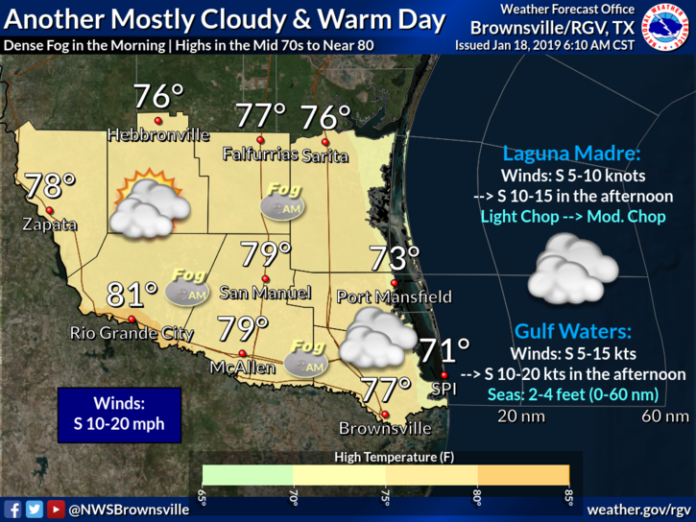 Once the morning fog lifts, expect a warm day, according to the National Weather Service in Brownsville. High temperatures will reach the mid to upper 70s Friday, possibly into the 80s. Rio Grande City is expected to reach 81. Clouds will begin to build back this evening ahead of a cold front. Around the Rio Grande Valley, McAllen will see 79 degrees, Brownsville 77 and South Padre Island 71.